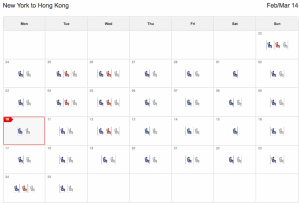 Posted on October 5, 2013 by Guillermo R.
After teasing flyers last week with the impending announcement of a new route to the US (the possibilities were Boston, Miami, Newark or Seattle) of the big pieces of airline industry news this week is that Cathay Pacific announced a new route from its hub in Hong Kong (HKG) to Newark (EWR) that will start March 1, 2014 and will be the fifth daily flight from Hong Kong to New York. Now, another route from the New York area to Asia might not seem like a huge deal, but there area a few reasons why this is good news for flyers – especially if you’ve been racking up the Oneworld miles on partners like American and British Airways. The route will be serviced by a 777-300 (77W) with just 3 classes of service: economy,premium economy and business. No first class. That’s likely because Cathay is currently in the process of refreshing its first class product, which I already think is amazing! The real good news here, though, is that there is a ton of award availability so far on the new flight routes. I’ll get into the specifics below, but to fly this route you could use the following amounts of miles from Cathay’s two partners, British Airways and American. 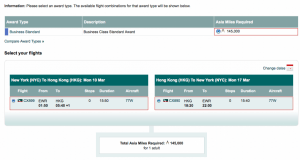 And keep in mind that Cathay is also an Amex Membership Rewards, so if you have Asia Miles in your account, you could always top up with a points transfer. There are a couple different options for searching for award availability on Cathay. 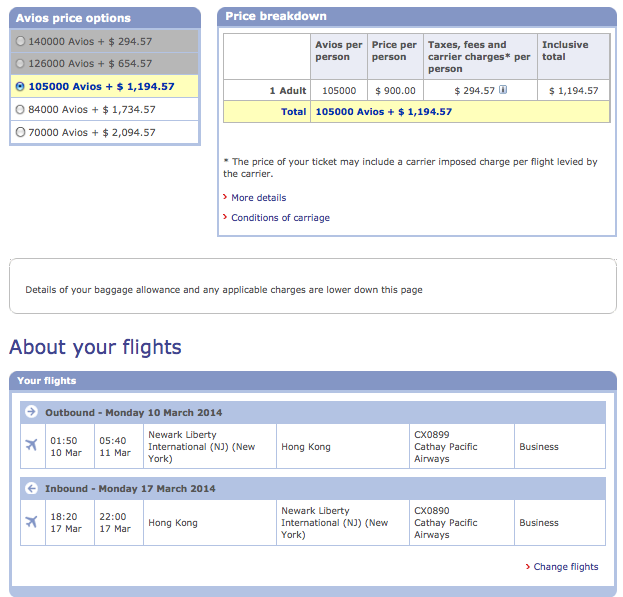 First, you can search on CathayPacific.com itself. 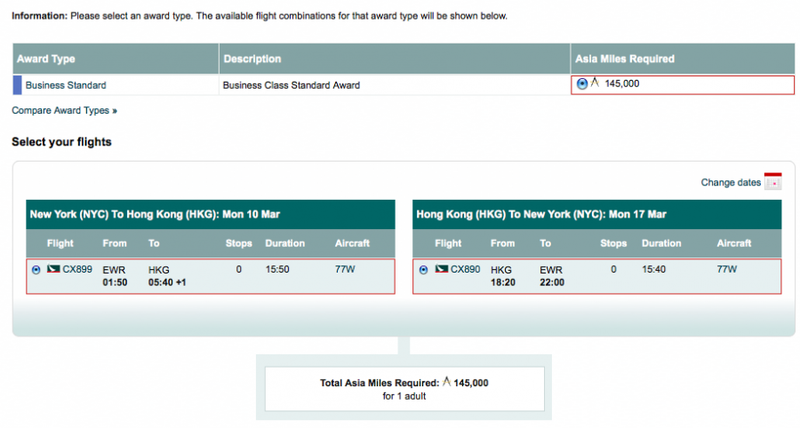 Though the search engine won’t show availability for other airlines, it does a pretty good job of finding it on Cathay flights and will even let you put yourself on the waitlist for an award for flights if there are no awards available for the flights you want. On the main page, in the flight search box, click on the link to “Redeem Flights” then select “Flight Award Redemption” on the next page. 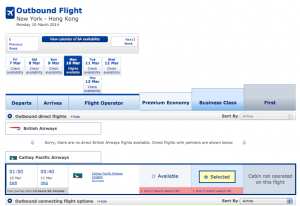 That will take you to another flight search screen where you can put in your search details. You don’t have to log into Marco Polo or create an account. 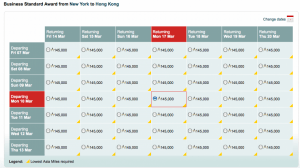 I just searched for roundtrip flights in business class in March on the new route, and it was available every day that month at the standard award level of 145,000 miles roundtrip. Including on the dates I specifically searched. 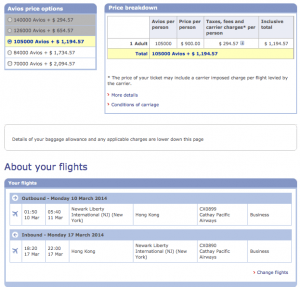 This itinerary would require 145,000 Cathay miles roundtrip – and you could consider transferring Amex Membership Rewards points to Cathay for it, but I would actually suggest transferring to British Airways Avios instead since BA would only require 140,000 Avios, saving you 5,000, and BA is also a transfer partner of Amex Membership Rewards that sometimes runs transfer bonuses (though it’s been quite a while since we’ve seen one of those). If you’re looking to stock up on Avios in a hurry, the British Airways Visa is currently offering a sign-up bonus of 50,000 Avios when you spend $2,000 in 3 months and the first year’s $95 annual fee waived. For Oneworld searches, I also recommend using Qantas.com since it pulls in pretty much all Oneworld availability including that of Cathay Pacific. You do have to have a Frequent Flyer account and log in to use the search, but it takes a minute to sign up and then you’re done. I wouldn’t recommend using Qantas miles either, though, since you’d need 208,000 for this route. I would, however, recommend considering using American Airlines miles. 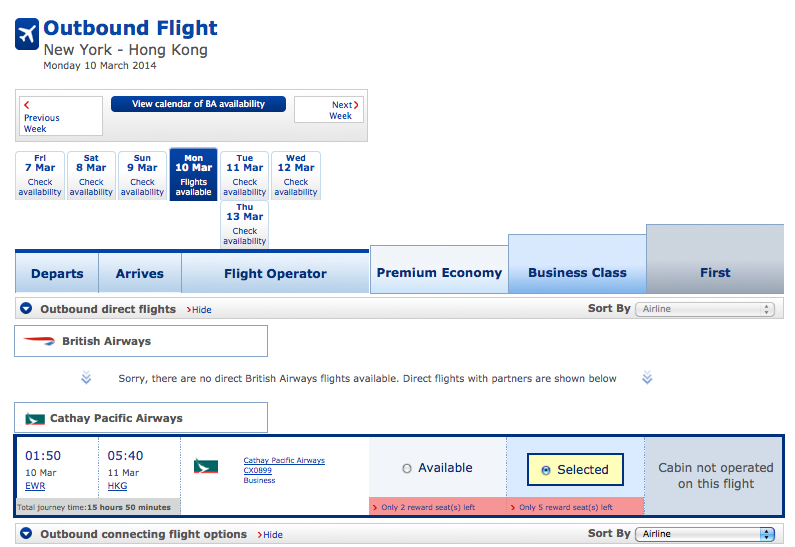 Though the website won’t show you Cathay flights using its award search, you can search on one of these other sites and call up the airline. The reason I’d recommend doing so is because per the AA partner award chart, you would need just 55,000 miles each way or 110,000 miles total to fly roundtrip on this route in business class – a good 30,000 miles less than British Airways would require and 35,000 less than Cathay. Granted, AA miles are harder to come by since the airline’s only transfer partner is Starwood Preferred Guest, otherwise you’ve got to get a co-branded credit card or fly to earn your miles, but if you did go that route, you’d need just 90,000 SPG points for the roundtrip redemption thanks to SPG’s 25% bonus on transfers of 20,000 points. The only downside is that you’d have to call American to book the award and might get dinged with a $25 phone booking fee unless you’re an Executive Platinum. Still, there is tons of good news here including the preponderance of award availability on the new route, a few different mileage options, including American, British Airways and Cathay itself, and more ways to fly one of the world’s top airlines. If you have any questions please leave me some comments and ill get back to you as soon as i can! 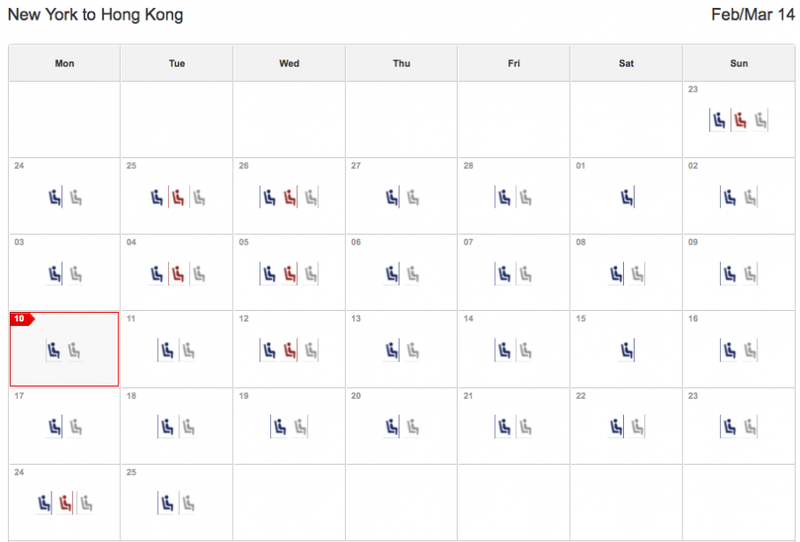 This entry was posted in Uncategorized and tagged #airtravel, #awardbooking, #awardbookingservice, #awardmiles, #awardtravelpoints, #bestcreditcardbonuses, #bestcreditcards, #besttravel, #frequentflyer, Airline, Asia, Boston, BRITISH AIRWAYS, Cathay Pacific, Hong Kong, MasterCard, Miami, New York, Seattle. Bookmark the permalink. ← What Miles or Points Are The Best for Business Class Award Tickets to Hawaii?